If you want to conquer ancient civilizations, get into a car chase with the cops, or be frightened to death in a haunted kids restaurant that bears a striking resemblance to Chuck E. Cheese’s, there is no shortage of games on the iOS App Store that will satisfy your needs. But what if you just want to explore the world, meet its creatures, and feel closer to nature? That is a market that hasn’t been quite so adequately served — which is precisely what makes Under Leaves so interesting. Under Leaves is a visual search game, similar to I Spy or those old hidden pictures challenges in Highlights magazines you may remember reading as a kid. There are 21 stages around the world, each situated in the natural habitat of a particular animal. Your job is to help that animal find what they are looking for — flowers, nuts, leaves, you name it. That is it. No gimmicks, no flash — just a therapeutic game of find the needle in the haystack as the soothing ambient sounds of the world’s most exotic biomes play uninterrupted in the background. It is an elegantly simple concept, and it is one of the more relaxing gaming experiences on the App Store. It is helped by the beautiful watercolor illustrations that serve as the background to each environment. According to the developer Circus Atos, the story goes that the designer, Barbora Podhorska, would create watercolor paintings to gain some relief from the stresses of working on other projects. These paintings became the inspiration for the game. 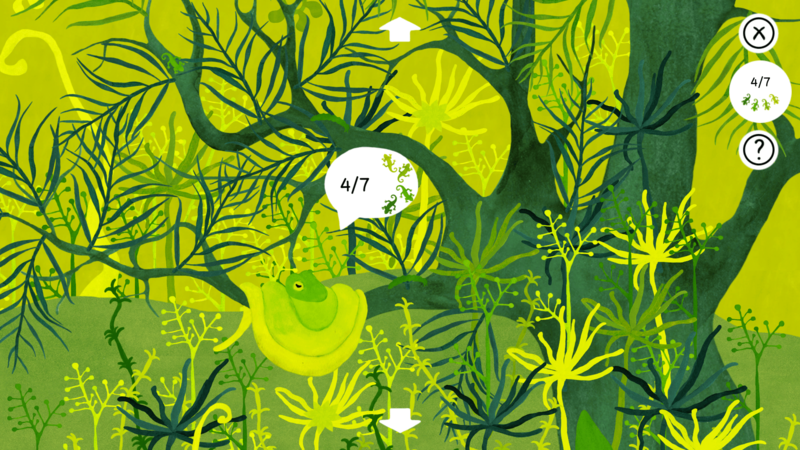 Under Leaves is perfect for little kids, too, as it doesn’t feature any text to read, save for numbers to count how many of each item you’ve located. It transcends age and language barriers — though don’t assume that means adults can’t enjoy it too. Under Leaves is available starting Thursday on the iOS App Store for $2. You can also get it on PC through the Mac App Store for $4, or Steam for $5. There is no word on an Android release just yet.